Steve H. King grew up in a Christian home and responded to the gospel at an early age through the influence of his parents and church family. After law school and a two-year teaching stint in China, Steve moved to the DC area in 1993 and has been attending Cherrydale ever since. For most of his time at Cherrydale, Steve has been involved in both the music ministry and outreach to international students. He also served as a Deacon for six years. 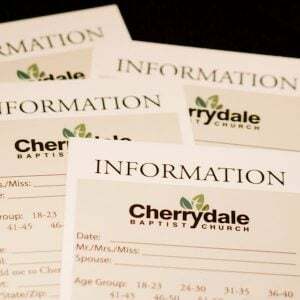 Thankful for the many friends at Cherrydale who have prayed for him, taught him, and encouraged him in growing in the truth of the gospel, Steve loves to see all in the local body actively building each other up for the glory of Christ. Steve has practiced law for over 20 years at the same firm. He is married to Allison, who he met at Cherrydale, and they have two teenage sons, Costya and Sergei.